One important aspect of any search engine optimization campaign is the building of links. 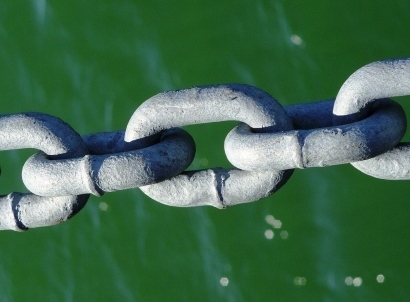 Aside from helping a website’s presence to be more felt on the worldwide web, quality links are a big factor when search engines are ranking websites. Search engine spiders are more likely to index websites that have links compared to websites that don’t have links. What makes a killer content? To put it simply, it is a web article that is very instructive, highly informative, or simply too interesting or entertaining that anyone who happens to chance upon it cannot help themselves but read it. Killer content or content of high quality content usually are good link baits. This means that people would find it worthy to be linked to so they would naturally want to link to it. When creating your resource list, keep your niche in mind. If your niche is weight loss, for example, you can create a comprehensive list of the best blogs on weight loss. You can also include a short description or review of each of these blogs you listed. A comprehensive and well-done resource list is something that many people would love to link to. Many people love reading and linking to a top 10 list on any subject. The important consideration in making a top 10 list is to make it interesting and reliable. Reliability is very important if you want people to read and link to it. Don’t create a list just for the sake of creating and having one. You should conduct an extensive research, instead of just listing your favorites, when creating your top 10 list. You may be wondering how conducting surveys can help you get more backlinks. Look at it this way: if you conduct a survey about how single parents are affected by discipline issues at school, there is a big possibility that single parents who blog would link back to your post about your study. When you blog, don’t blog just for the sake of blogging and stuffing your blog with useless posts and stuff. Create and maintain your blog with passion. Post quality posts and articles on your blog regularly and build your authority for it. Link your blog back to your main website every once in a while. Having a blog is a link building strategy that takes quite an amount of time but is truly worth it when done properly and done the right way. Writing articles and submitting them to top article directories like Ezine and Buzzle can be hard work but it is one of the best ways to get backlinks. Articles that are of good quality will attract the attention of your target audience and of website owners who are looking for relevant content for their site.